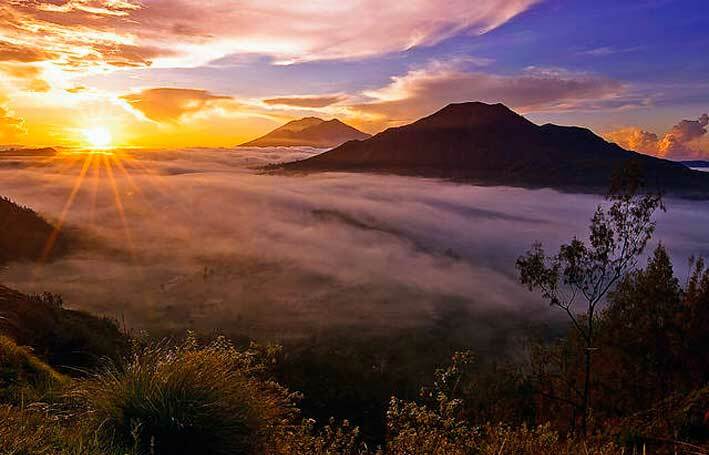 Sunrise in Mount Batur, Bali is one of the most popular attractions wanted by most tourists who come to the island and looking for an amazing natural view. In Bali, Mount Batur is an active volcano and is one of the sacred mountains. It stands at 1717 above sea levels and becomes a great place for sunrise hunters. Generally, trekking in Mount Batur is suitable for tourists who like outdoor activities, have an average level of fitness without wanting to go to physical limits, an avid poster on social media, nature photographer and anyone who simply curious to explore new adventures. It took about a couple hours to get to the starting point from Kuta. It is not allowed to climb the mountain alone, so you cannot say that you are “the only king of the world” once you can reach the summit. If want to be the first people on top of the mountain, you need leave earlier, about 1 am. However, it brings a risk because you will wait the sunrise in the dark and the weather would be cold. So, if you want to do it, make sure you have warm clothes and gloves with you. Tour guide is an important partner to have. You do not need to look for them from hotel, because you will meet guide in the mount Batur car park. However, if you have an agent, the registration will be done by them. The price for the Mount Batur trip is about IDR 800.000 for 3 people, including the private transfer, registration as well as the guide service until 1 pm. Another thing you need to consider is that the sunrise in Mount Batur trekking needs a good fitness level. If you are a person with an average fitness, you may find that the first part of the climb is quite easy. Communicate with the guide as much as possible; you have to ask some questions related to the climbing, especially about the terrain. – Choose and wear comfortable shoes that have a good grip. It is better if you wear a pair of trail shoes. 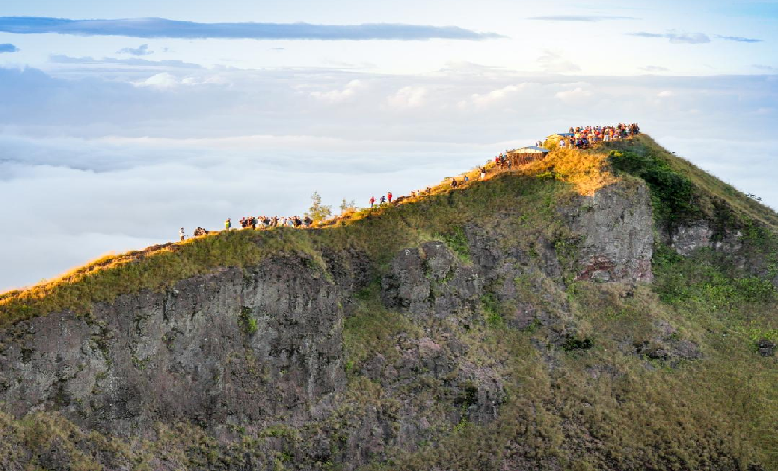 – Mount Batur climb has different temperature changes, so you need to wear clothes that you can wear in layers but those clothes must not too heavy. When start climbing your body will be sweat, but when you take for a break in the night, the weather will be cooler. – Though the guide brings a torch, it is better to have your own. The best option is bringing a head torch. You may ask the guide if they have it for you. 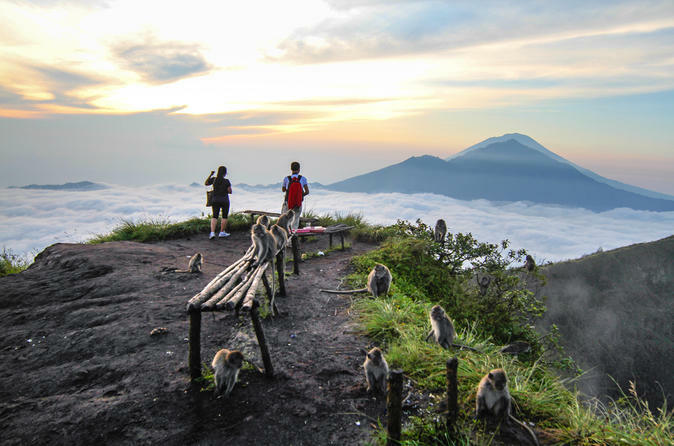 – Make sure your camera has been fully charged since you do not want to miss any moment when watching sunrise in mount Batur. – Bring your own food, but if you want to keep your rucksack light you can buy them from the sellers along the trip.